Egypt’s Ramy Ashour showed just why he is considered the most exciting squash player in the world when he came from behind to overcome defending champion Nick Matthew in today’s enthralling final of the Viridian Australian Open, the third PSA World Series event of the year in Canberra. Runner-up in 2010, Ashour was forced to dig deep into his considerable bag of tricks to see off the world No1 from England 12-14, 11-6, 10-12, 11-8, 11-4 in a high quality match. 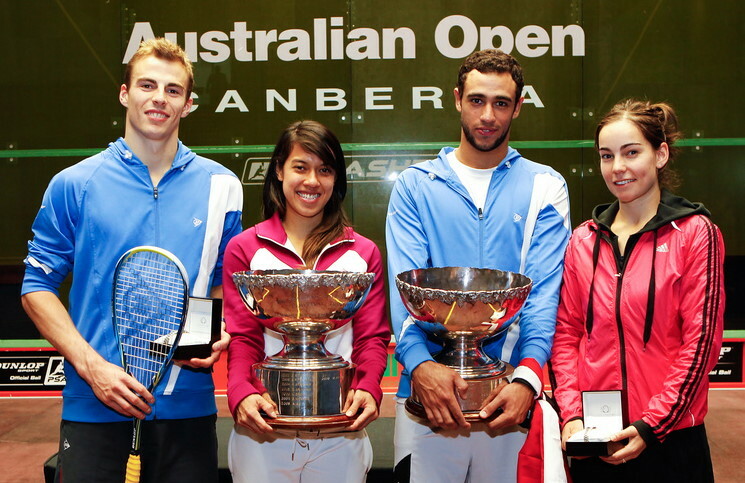 Both men played some spectacular squash throughout the final but the 23-year-old from Cairo finished the stronger and was a deserving winner of his first Australian title. Matthew had gone into the match as the slight favourite following his impressive semi-final win over local hero David Palmer on Saturday. And he looked every inch the favourite as he opened up a 10-6 lead in the first game, only to hold off a comeback from the Egyptian. Ashour levelled the match in the next game before Matthew got his nose back in front, again having to hold off an Ashour comeback. But Ashour fought back again to win a tight fourth game before exploding in the fifth, controlling the front of the court and hitting a string of winners to quickly race to 10-3. “It’s such a great thing to win the Australian Open, I’ve been thinking about this since last year when I lost to Nick,” said the world number two. Ashour said he went in with a set game plan and he stuck with it right to the end. “My goal was to fight for every point, to push myself to the limit and give 100 percent, win or lose,” he said. “I think in the fifth I just went for my shots and I pushed myself again and again. “Even in the games I won I took the lead and he fought back and took it to a tiebreak both times,” said the 31-year-old from Sheffield. “Everyone gives him credit for his shot-making but some people forget he’s got that side to his game as well, that makes him such a champion. Ashour was buoyed by the good-natured cheering from a group of Egyptians in the stands. “I didn’t expect these people to be here. It’s good to have Egyptian people here supporting me. It doesn’t happen much and it feels good to hear Egyptian words,” he said. 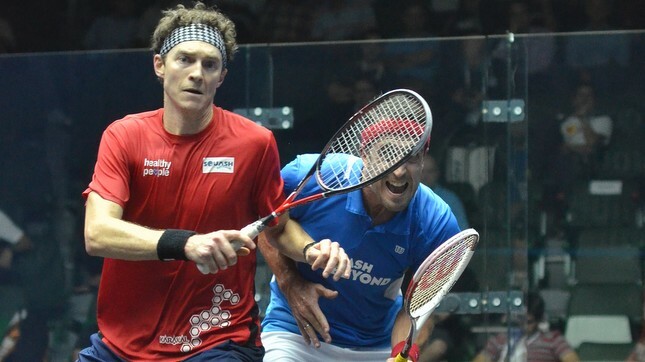 The success takes Ashour’s PSA Tour title tally to 21 – one more than rival Matthew. Ashour also moves ahead of Matthew to top the latest Dunlop PSA World Series Standings. Englishman James Willstrop holds onto third position, while Australian hero David Palmer is rewarded for his surprise semi-final berth in Canberra with a rise to fourth place. Frenchman Gregory Gaultier and Dutchman Laurens Jan Anjema both move into the top eight following their Australian Open successes – Gaultier making the semis as fifth seed and unseeded Anjema reaching the last eight. Congratulations to Ramy Ashour You are the best squash player in the world without a competitor of all Egyptians are very proud of you.